The first series of photos is of my Italian family: Andrea and Donatella, Lorenzo Clemente, my landlord in Florence, and Alexandra Lawrence, tour guide and best girlfriend. I wrote about the church on the hill, San Miniato, all through my book, as it became the metaphor of my journey. It was my aerobic challenge as well as the place I offered my prayers, and spent so many hours. 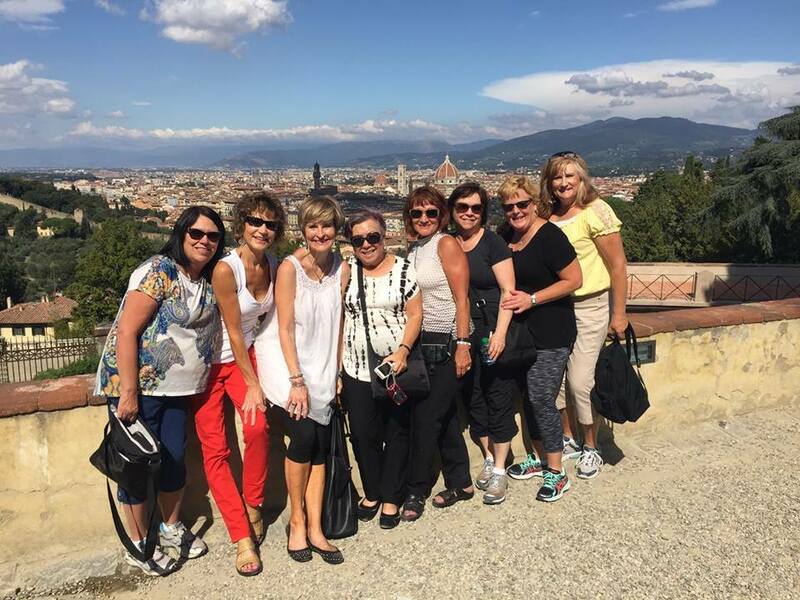 It is always a joy to share it with the tour groups, as it offers the most spectacular view of Florence! The photos below are from the hill town of Cortona...and my dearest friends there. Ivan Botanici of Galleria Il Pozzo, Valentina and Alba of Il Mondo di Amelie, and Mariano, my infamous guide.